Invest in your staff with our corporate fitness training packages. 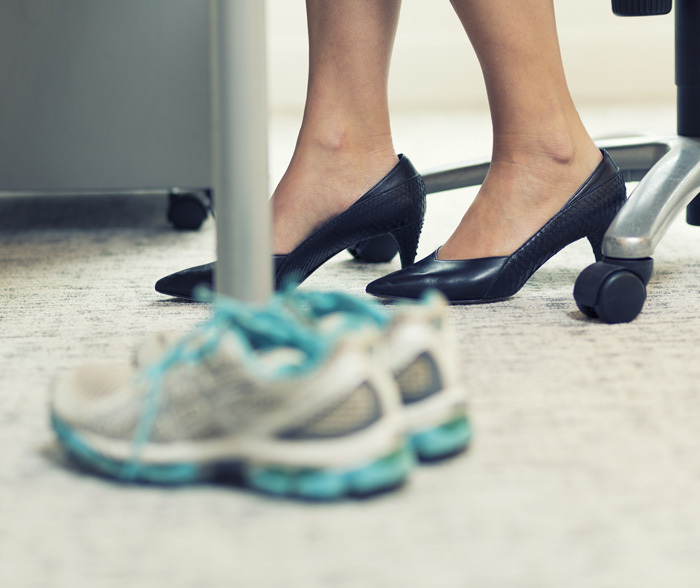 The benefits of a workplace wellness program speak for themselves. How does improved performance, retention and staff morale sound? What about lowered incidents of absenteeism, presenteeism and workers comp claims? Almost sounds too good to be true—but our corporate fitness training packages can help it become a reality. Relaxation and meditation exercises to boost energy and refocus. Give your employees stress management tools and techniques to calm a busy mind. Targeted mobility and stretch therapy to alleviate tightness and tension associated with desk work. Give your employees freedom from painful, sore muscles. A quick high intensity fitness kickboxing session to get the heart rate going. The perfect way to break up the day and increase the fitness and strength of your staff. Quick and simple techniques to help manage everyday stress and fatigue. Build a happier, healthier, more resilient team who are calm, centred and focused. The healthiest employees are almost three times more effective than the least healthy. Where an organisation does not manage health and wellbeing well it is four times more likely to lose talent within twelve months. Demonstrating a sense of corporate social responsibility can improve the organisation’s image with the public, and can help an organisation become an employee of choice. The cost of replacing an employee is at least 75% of the employee’s annual salary and may be as much as 150% in some cases. The estimated cost of staff turnover in Australia is in the order of $20 billion. Employers are starting to recognise that the key to a productive workforce is taking a 360-degree approach to engagement. Health, happiness and productivity are intrinsically linked. Employers have a huge opportunity to boost the health and happiness of employees through meaningful engagement programs, and reap the rewards of the increased workplace satisfaction and productivity that result. Improving the health and well-being of our employees offers a ‘win-win’ all around. Employees benefit from better support for their health. Companies benefit from less absence and improved productivity. And society benefits from improved public health.